CARFAX ONE OWNER NO ACCIDENTS, CARFAX ONE OWNER, 4WD. CARFAX One-Owner. Clean CARFAX. Black 4WD 2018 Ford F-150 XLT 5.0L V8 Priced below KBB Fair Purchase Price! Odometer is 7217 miles below market average! Proudly serving Kentuckiana for over 40 years with an A+ BBB Rating! Having 7 convenient locations and over 800 vehicles, we're sure to have the right car at the right price! Inquire to schedule your VIP test drive today. All prices plus tax, title, lic, and dealer processing fee. Call 502-543-6276 to speak to an Internet Sales Professional today. More pictures and a free CarFax Vehicle History Report are available on our websites. Go to www.craigsbestcars.com to see our locations and choose the one most convenient for you. Our entire inventory is available at every location! 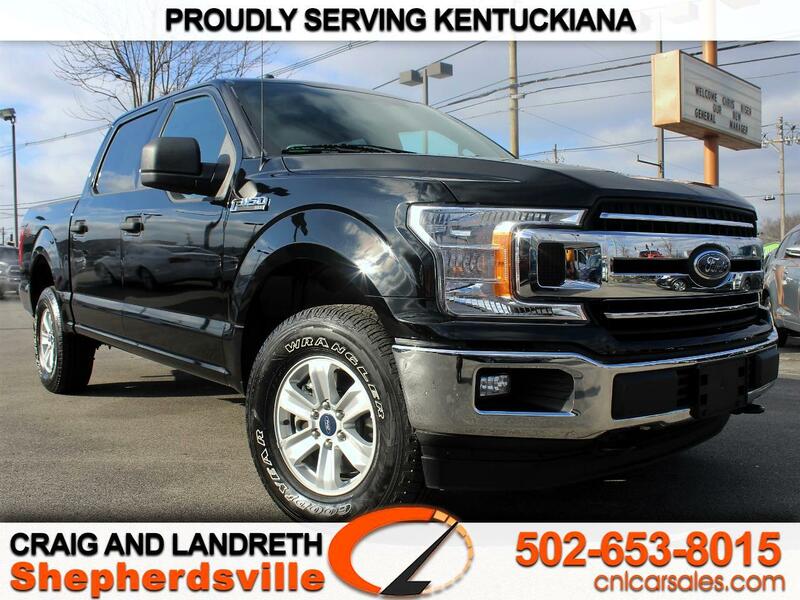 Founded in 1975, Craig and Landreth Cars is a family owned & operated pre-owned car dealership with 5 locations in Louisville, KY who's maintained an A+ Better Business Bureau (BBB) rating since 1984. Used cars in Kentuckiana have never been easier to buy! You can apply for financing safely and securely on our website too. As always, all trade-ins are welcome! Now you're thinkin' smart!